I was recently chosen by Mumsnet to review a brand new book, Migloo's day. Well I say me but it was my children that were really going to be putting this book through it's paces. There are puzzles and lots of things to find. Lost shoes! Baby rabbits! A runaway monkey! So what are you waiting for? Hop on, lets go! 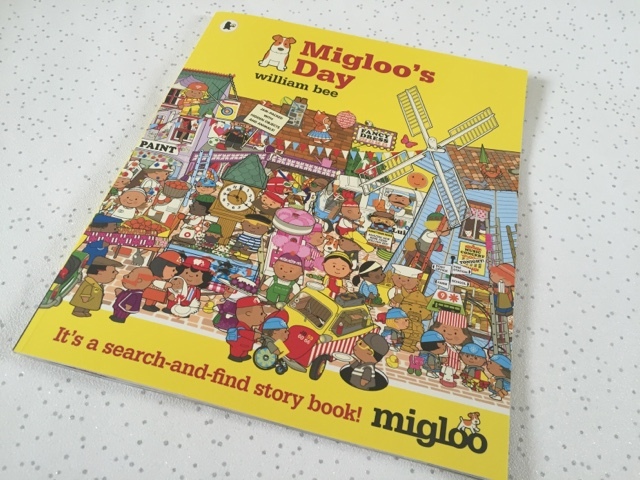 Migloo's Day is described as a search and find story-book. Designed to keep young readers rather busy shall we say. I think they got it right and I thought this even before I'd opened it up. 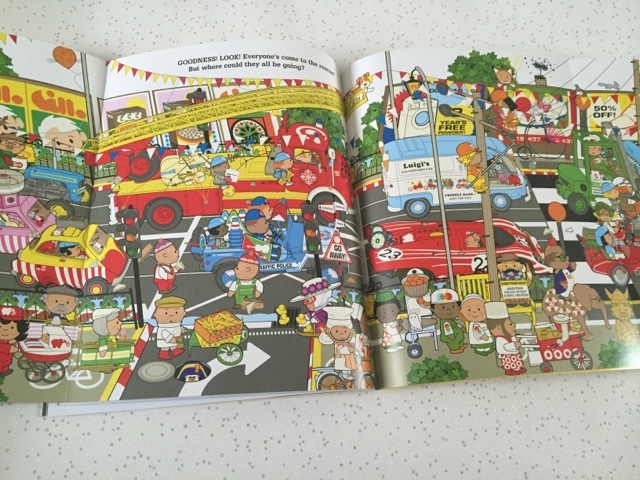 A bright yellow cover instantly catches your eye, chock-a-block with so many fun and intriguing illustrations. It makes you want to take at least a peek to see just what it contains inside. Before the story begins we are introduced to an abundance of characters that will appear throughout the book and what I love is that they've made them very diverse. From different skin colours, to different jobs. 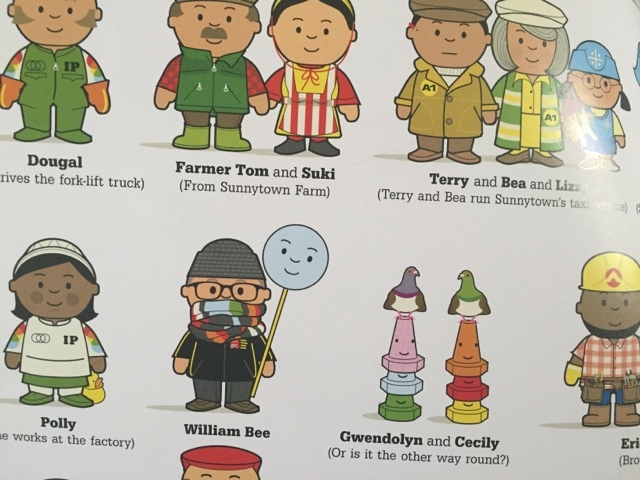 This is wonderful for children to see because we are as a country are all different in how we look, how we dress and what we do and children should know that there is absolutely nothing wrong with that! Now this isn't your typical story. It is what I would describe as interactive. As a reader you are encouraged to immerse yourself in what's going on. Searching for various objects and solving puzzles whilst taking a journey through Sunnytown with Migloo and meeting his friends along the way. 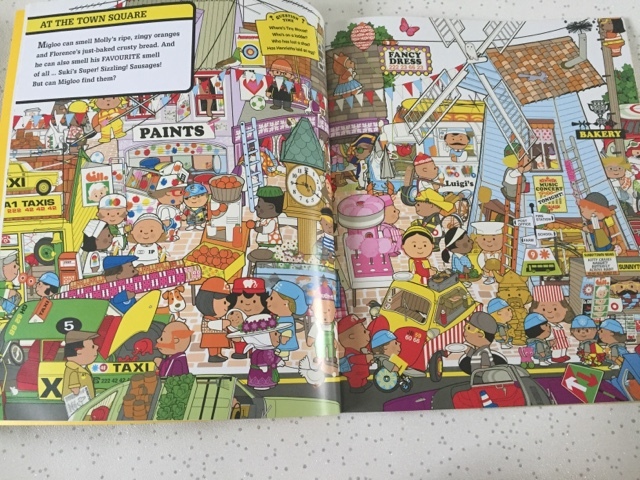 For me it felt like a modern day Where's Wally but instead of just looking for Migloo with each turn of a page, you are searching for so much more. It is a busy town, the only trouble comes in knowing where to look first! I have to say my girls and I have had a lot of fun with this book. 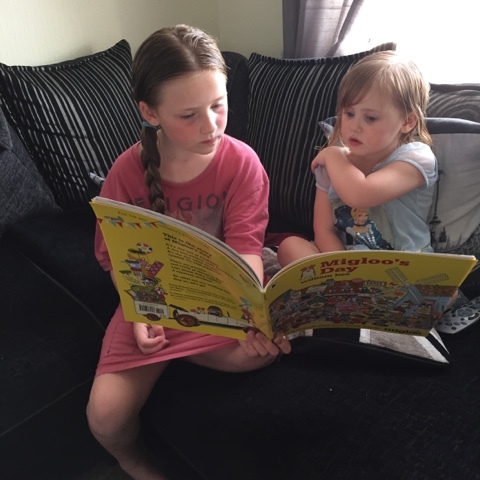 It goes to show that it can appeal to quite a wide range of ages as my children are three, six and eight and they all found something within Migloo's Day that made them want to keep on reading. Definitely one for the whole family to get involved in. 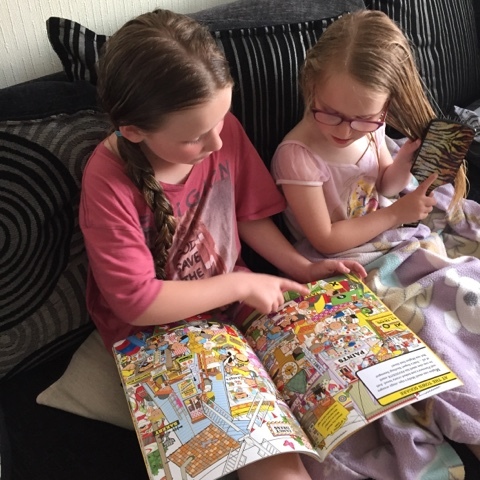 It was really nice for me to see my eight year old sitting down with her younger sister's and helping them spot various things as they read, bit of team work. From colours and shapes, to different animals and foods, there really is a great variety to be discovered and talked about. I think it would be a fantastic book to have in nurseries and reception classes at primary schools. And as if all of that wasn't enough, there is an added bonus that comes in the form of a pull out page which displays even more for your child/ren to look at. 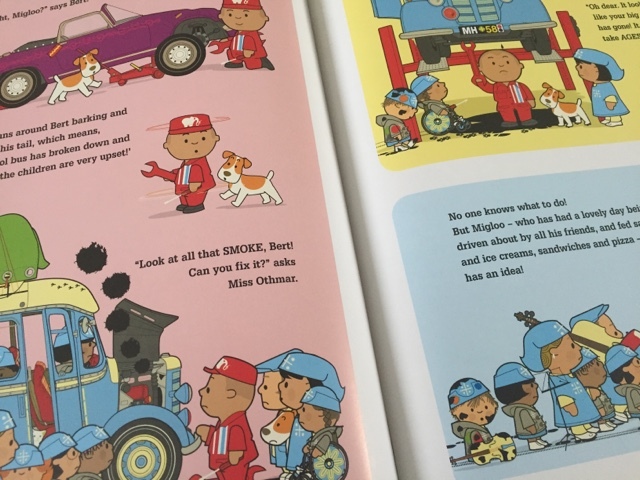 This part has more of a focus on the vehicles that the people from Sunnytown are driving, which is something else for kids to learn about. Migloo's Day is a book that I feel can be read time and time again. Because of how well it has been drawn not only will you be found forgetting where certain things were hiding from the last time you read it, you will also manage to spot things that you hadn't noticed when looking at the pictures before. This is books and reading at it's best. Being able to read and having fun whilst learning. Books like this is what can encourage reluctant readers to actually want to reach for a book. And it is a gift that keeps on giving because it's like reading it for the first time every time you pick it up. Highly recommended.